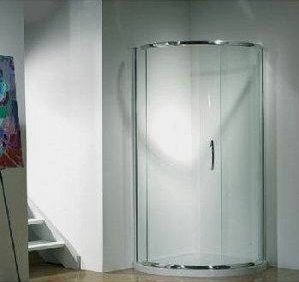 White or polished silver frame finish - please select choice of shower below. Side Access Entry - Single Door opening which can be installed to open either left or right hand at time of installation. As with all KUDOS Original Sliding Doors, these products feature a unique release mechanism to allow easy cleaning between panels. Both the 810 and 910 size options are available with centre access (2 door opening) or side access (single door opening either left or right hand). Whilst the new 1000 is available as a side access only.